The Japanese language is in my opinion a very beautiful language. In fact, if I didn’t find the language so easy to listen to I don’t think I would have started learning Japanese in the first place. 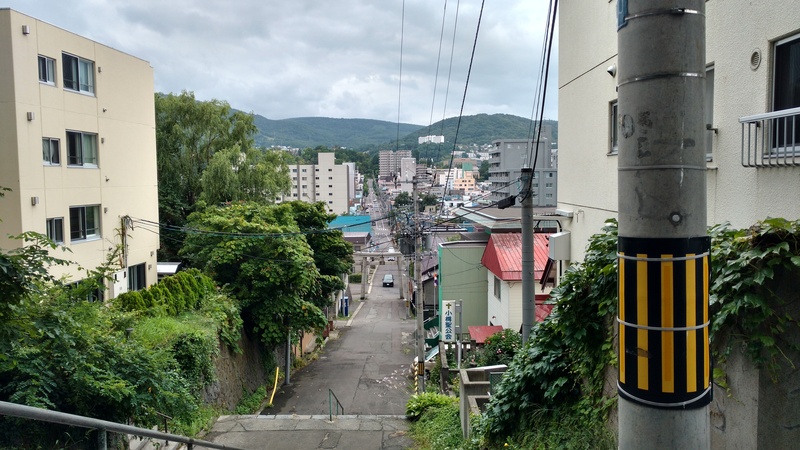 A lot of other people who are studying Japanese, or are exposed to the language, also feel the same way. I’ve spoken to so many people who are learning the language that also agree that it sounds really pleasing to the ear. This made listening to 10,000 hours of the language in order to reach fluency really easy for me as I could just sit back and admire the language without understanding much. Throughout my process of learning Japanese, listening to the language during sleep was a big part of my process. And while I cannot say whether sleep listening actually works or not, I still did it as I could get some extra listening in just before I went to sleep and also when I woke up first thing in the morning. However, during this time I was unaware of the ASMR content which has become incredibly popular. I was listening to the only content I had at the time and that was 少年アニメ like SAO and Attack on Titan. Recently I’ve become more aware of ASMR and feel like it can be a powerful tool in helping you to learn Japanese. 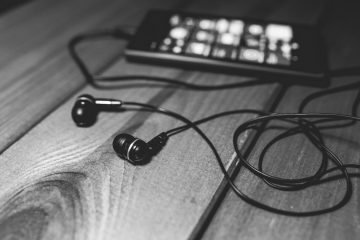 It’s something I’ve started using for my sleep listening (as well as audiobooks) so I’ve put this list together for all of you who are merely interested in listening to Japanese as well as those of you who are interested in actually learning the language. Before I get into this list I want to quickly mention that the channels on this list will be those that have content made by real native Japanese speakers. The reason I say this is because there are a few channels out there that are doing ASMR videos in Japanese but they are actually foreigners. I’ve noticed a lot of korean channels doing this and if you are aiming to learn Japanese to a high level of fluency then you need to be careful about this. You will want to listen to actual native speakers otherwise you could pick up bad grammar and a bad accent. I would therefore recommend that you stick to this list for now and if you find another channel that you think might be good then I would check with a native to see if they are actually Japanese or not. Also note that I’ll be focusing on Japanese ASMR YouTubers that have a lot of content in which they physically speak Japanese as opposed to tapping objects etc. as if they aren’t talking then there’s not much point in watching Japanese ASMR! Another quick side note, I really struggled to find any content created by Japanese males. ASMR still hasn’t quite taken hold in Japan yet so there’s not a huge amount of content out there. As time goes on I’m sure there will be a wider variety of channels. Anyway, let’s get into this list! Hatomugi is probably my favourite out of all the channels on this list. She has a unique and very soothing voice that will get you to sleep in no time. She has a playlist for videos where she talks about stuff which I’ve linked above as her other videos involve less speaking and more tapping objects etc. Reirei tends to focus a lot more on simply whispering when talking which is just what we are after. I don’t think she has a professional mic or setup so the quality isn’t as great as other channels, however I’d still recommend giving her videos a chance. The only other downside is that she hasn’t uploaded in a long time which is a bit of a shame. This is a pretty high quality ASMR channel with plenty of content. You get a lot of the common triggers that you would find with your standard ASMR videos and she has a very clear, soothing and easy to understand way of speaking. Ayumimimimimimimi’s channel isn’t all about ASMR. She makes a variety of other content so it’s hard to tell just how much ASMR content she has but it seems that she’s been uploading quite a few ASMR videos recently. You may be asking why have I included her in this list then? Well, she’s a voice actress and she has a super high quality mic. Her ASMR videos are made to an incredibly high standard so I would check them out. Yet another virtual YouTuber anime girl… but that’s not what we are really interested in here. Whoever is actually voice acting this character has a pretty amazing voice. She tends to do ASMR live-streams and then sticks to other stuff like gaming videos for her actual videos on her channel. This channel actually doesn’t have a lot of ASMR content, however, the ASMR live-streams that it does have are very long which is great and the main reason why I have included this channel in this list. Yuuri’s channel is probably the closest you could get to your standard western ASMR channel. You’ve got high quality videos, often with roleplay, lots of speech (awesome!) and they are all very relaxing. Her microphone seems pretty standard and nothing special but her videos are still very soothing. Another virtual YouTuber but I’ll be honest, Yua has a great voice and the constant flow of speech is exactly what we are looking for in terms of ASMR content. The only downsides is that she isn’t a dedicated ASMR channel and so she doesn’t have many ASMR videos. Yet another virtual YouTuber… I honestly don’t get the hype but who cares, let’s just go with it… Again, this isn’t an ASMR channel so to speak, however Futaba has some pretty decent ASMR content. She usually does most of them in the form of live-streams and they usually last up to an hour. These tend to be speech only so they are perfect for anyone learning Japanese. She has a good quality mic and a really soothing, easy to listen to voice. Pasmo creates some very high quality content. You can tell that her content is heavily influenced by western ASMR YouTubers. Lots of roleplay, lots of speech and even some voice acting. Personally, I find these kinds of videos pretty funny and actually struggle to listen to them, however, her mic is good and she has a nice voice too. She really puts a lot of effort into her videos so I would definitely check her channel out. I feel like this channel isn’t as good as some of the other channels in this list due to her mic quality, however in one of her recent videos she has bought that “ear microphone” that you see a lot of ASMR YouTubers use so her future content seems very promising. Her content tends to be quite long as well which is great, and she has plenty of uploads and is actively uploading content. Yattemo makes some really high quality content. He has a great quality mic and talks in some of his videos but he tends to focus a bit more on creating sounds from various items. He does have plenty of content though so I would recommend checking him out. This channel has a massive amount of content. He also does a lot of live-streams, however from a quick glance it appears that his videos are of a higher quality. His microphone quality in his live-streams tends to drop and pick up background noise so you may have to search for videos that have less background noise. Now, there are some issues with using ASMR while sleeping and those issues come from using YouTube itself to streaming the videos. YouTube has annoying adverts that pop up and will interrupt your sleep as well as possible connection issues which may stop your audio. To overcome both these issues I would recommend downloading these ASMR videos from YouTube using youtube-dl. From there you can convert them to mp3 using Adapter, and put them on your mp3 player. While you don’t necessarily need anything extra to get started, I do recommend that you get a few things just to make the whole process a little easier and more relaxing for you. If you’re going to be downloading videos then I would recommend grabbing an external hard-drive, otherwise you may fill up all the space on your computer causing it to become slow. I have a external 2 TB Western Digital hard drive which has turned into my “immersion bank” and is full of Japanese audio books, anime, films etc. I also use extra internal hard drives which you can get cheaply online but they might not be a good idea if you aren’t confident with taking apart your PC. If you want to stay on the safe side then just go for an external hard drive which connects via USB instead. I would also recommend getting a decent pair of sleep phones or earphones/headphones. For years I was using ordinary earphones during sleep and my god did my ears hurt when I woke up. This obviously happens because you are tossing and turning in your sleep so in order to get passed this issue I would recommend grabbing a pair of sleep phones. There are a variety of sleep phones out there, ones with bluetooth, ones that are cheap and do the job and ones that are a bit more expensive but are quite probably super comfortable as well. 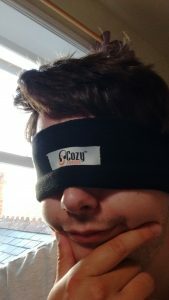 Personally, I am currently using a pair of CozyPhones. These are one of the best sellers on Amazon, they are cheap and actually surprisingly comfortable for their price. The only issue I’ve had with them so far is that the earphones inside the band tend to move about a bit meaning that you have to readjust them slightly each night. I also found that sometimes the band would have fallen down around my neck upon waking up which isn’t great if you want to get in as much listening as possible. However, they are very comfortable and also cheap so I’d definitely recommend grabbing a pair from Amazon. I have this pair although it looks like they also do a Ultra Thin pair that they say is good for ASMR so it might be worth checking them out too. If you want something that isn’t necessarily for sleep but will allow you to clearly hear ASMR in super high quality while noise cancelling everything around you then I think that the Bose QuietComfort 35 that MattVSJapan recommends is probably a safe bet.